Originally released as a PlayStation VR launch title and later for Oculus Rift and HTC Vive, Battlezone offers hours of exhilarating, futuristic tank warfare in a stunning first-person view. Delivering a procedurally generated campaign for 1-4 players ensuring no two playthroughs are the same, and drop-in, drop-out online co-op play, Battlezone brings back one of gaming’s icons like never before. Battlezone: Gold Edition includes the game and ALL the additional content ever released for it. That’s all the tank skins, bobbleheads, and horns, as well as the fantastic Classic Mode based on the original’s iconic 80s arcade cabinet. And anyone who already owns Battlezone on PS4 or PC will automatically upgrade to Battlezone: Gold Edition. That means they’ll receive all the extra content and be able to play without a VR headset, all FREE! 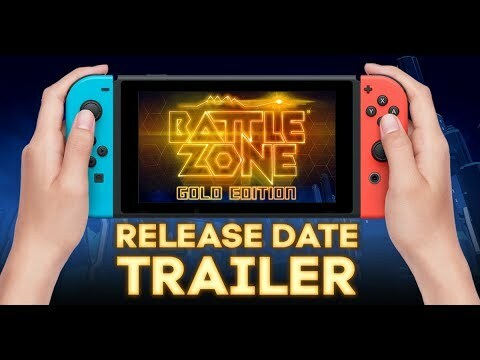 Battlezone: Gold Edition was released on Switch 169d ago in the US and the UK.